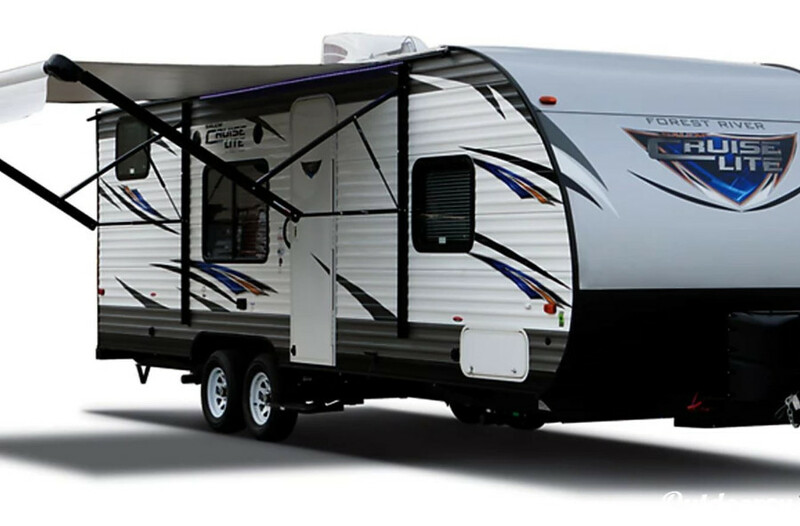 10 Best Camper & RV Rentals In Tampa, FL | Find Your Perfect Rental! 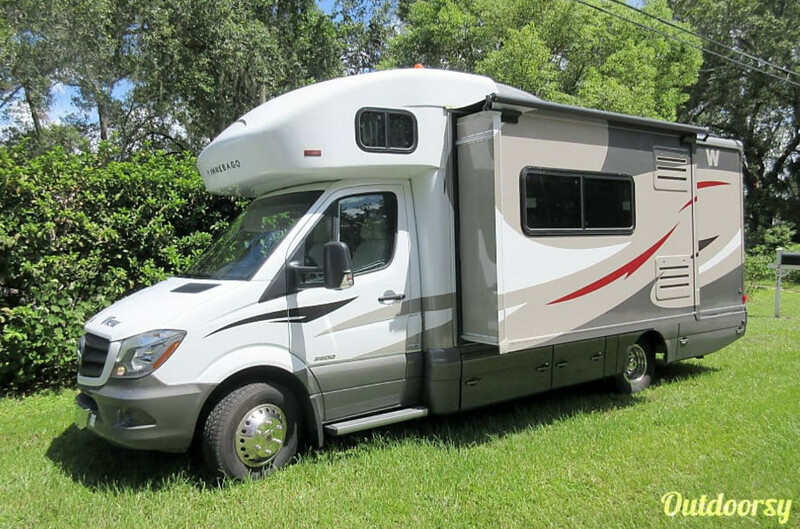 Looking for an RV rental in Tampa, FL? 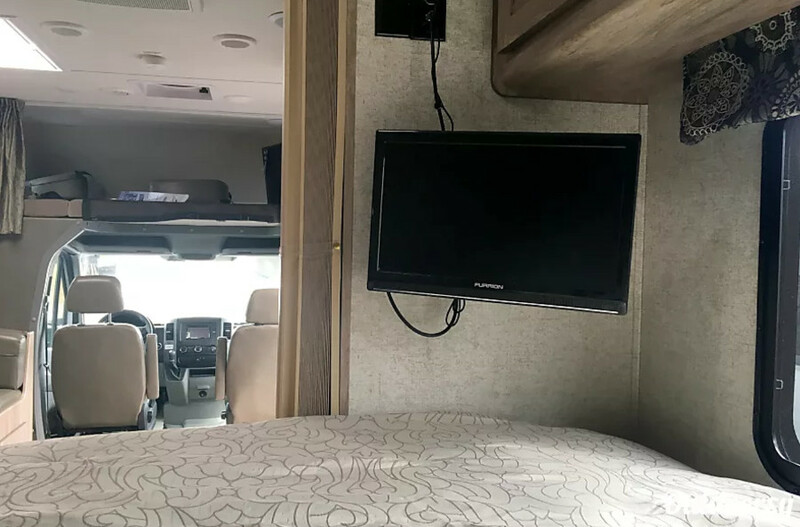 We found the 10 best RV rentals in Tampa - everything from cheap to luxury, small off-road travel trailers to massive Class A's. Taking a trip to the Sunshine State soon? Tampa is calling your name! 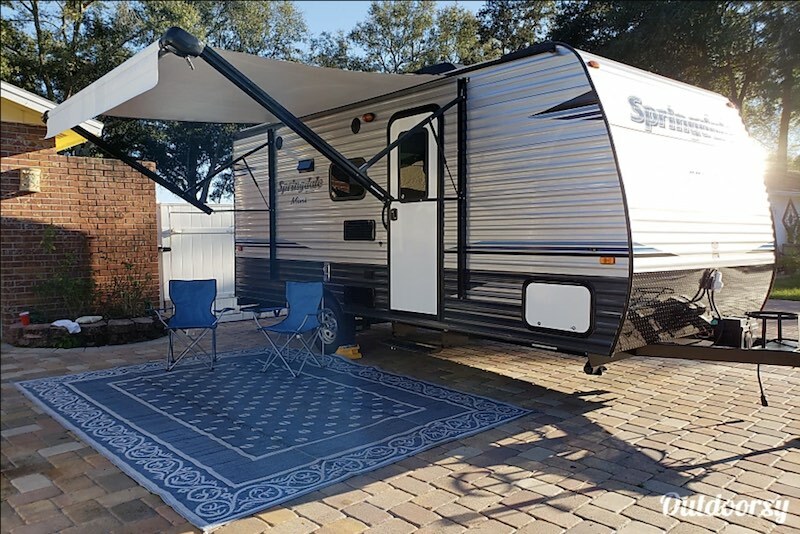 If the RVs below aren't available for the time you want to rent them, click here to go to Outdoorsy and see what else is available for you in Tampa! 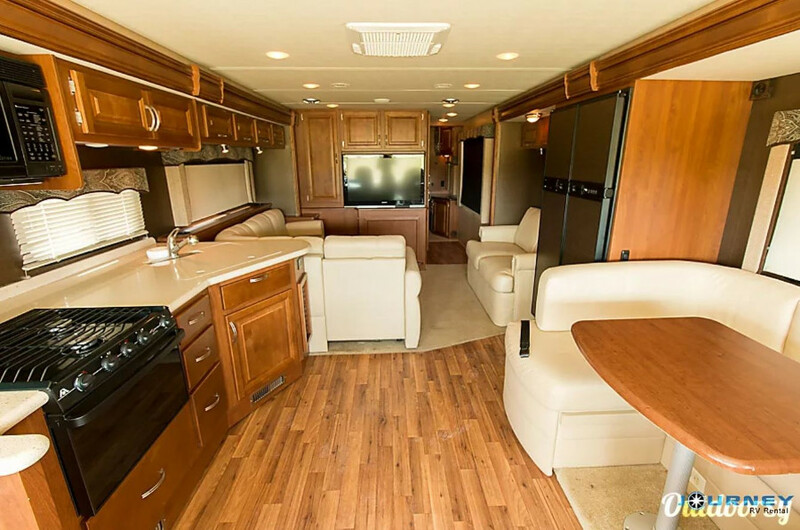 This 2012 Four Winds Majestic might only be 25' long, but it's plenty spacious and can sleep a total of six people! 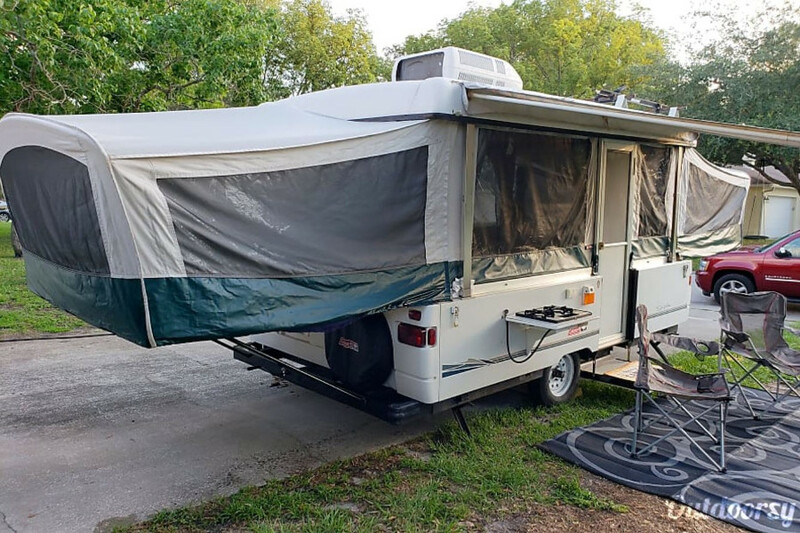 One of the coolest things about this Florida RV rental is that it includes a generator you're able to use for dry camping! Damon was flexible with times, was there when he said he'd be, and was very pleasant to work with. The RV was in very good condition. Thanks Damon! This 2001 Coleman Sun Valley Pop Up is a quaint little pop up with a lot more space than you'd think. The owner of this pop up RV calls this a "great first step for glamping" (a term to describe "glamorous camping"). People down south know how hot it can get and the owner of this pop up (Katie) made sure to put in a 13,000 BTU A/C for those intense hot days and nights. With everything this pop up has to offer, it is a great rental for exploring Central Florida! Quick Tip: Not sure what a BTU is? Check out our article about RV air conditioners to find out more! Perfect... excellent first experience staying in a pop-up. Katie and Jason were very friendly and communicated well. The trailer was nicely stoked, very clean, roomy, very comfortable 2 king size beds. My husband and I loved the very COLD air-conditioned on a hot September month!!! We loved the drop-off(set up), pick-up (break down)and delivered it on time, making sure to go over everything the camper has to offer. We are looking forward to our next stay in Katie's Pop-up. 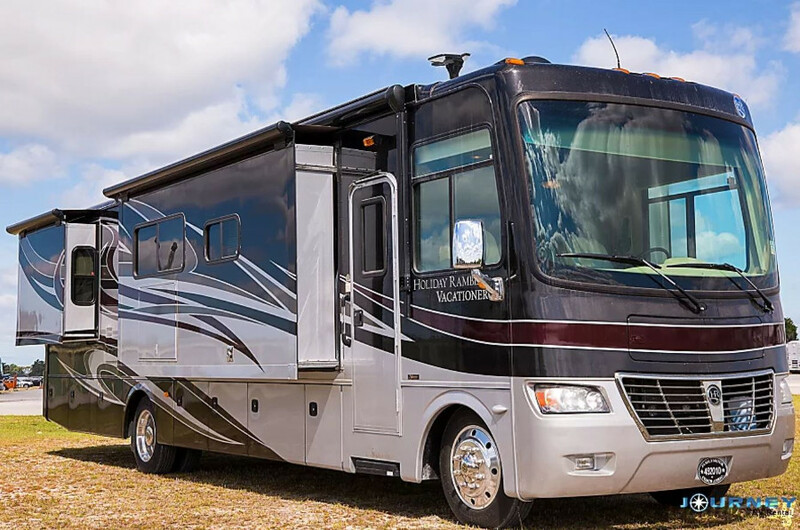 This 2012 Holiday Rambler Vacationer is a beautiful Florida RV rental that'll make you feel like you're living in luxury. Packed with a washer/dryer combo, remote heated mirrors (what?! ), outdoor entertainment area (TV and radio), and more, you might not want to leave the RV to explore while camping. The owner of this perfect RV, Brad, makes sure he goes over everything with you in detail before driving away - this is his baby after all! 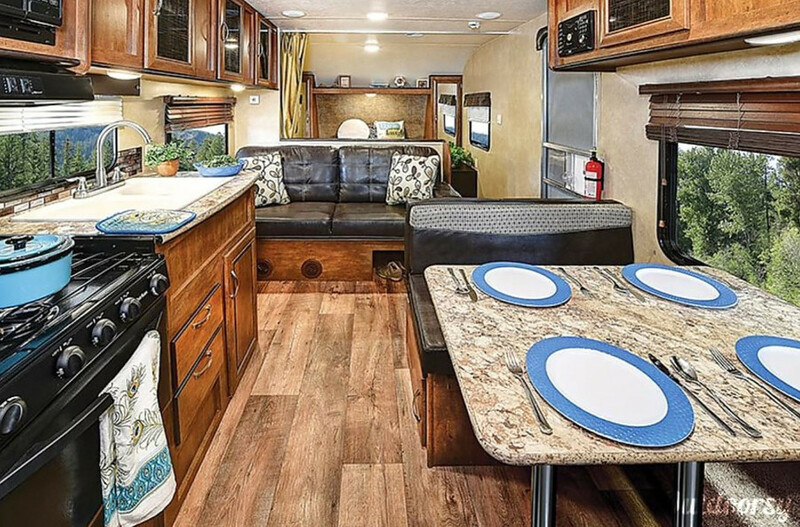 If you're looking for an RV with style (and a professional RV renter), this is something you can't pass up. I could not be any happier with my experience with Brad. He ensures that everything is in perfect shape when you pick up the RV and takes extra time to explain every component and electronic. You can’t find a nicer person to work with, and that goes for any business. I highly recommend renting from Brad. 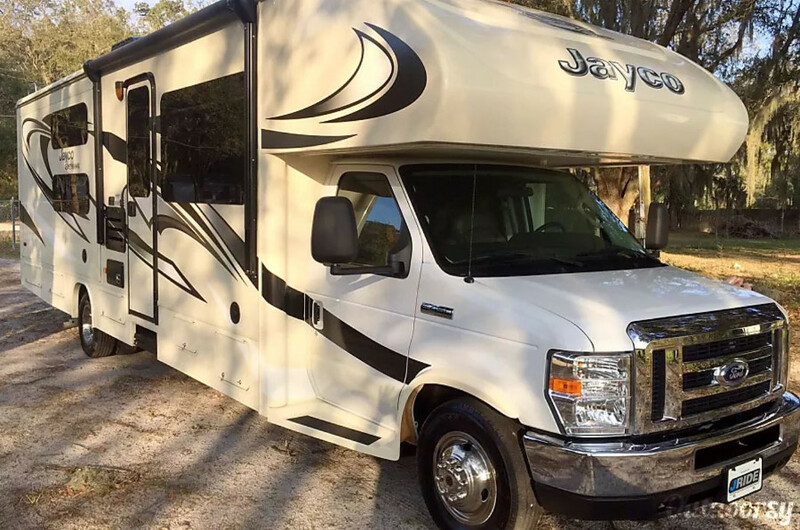 This 2016 Jayco Greyhawk is a classic RV that offers comfort as well as style. 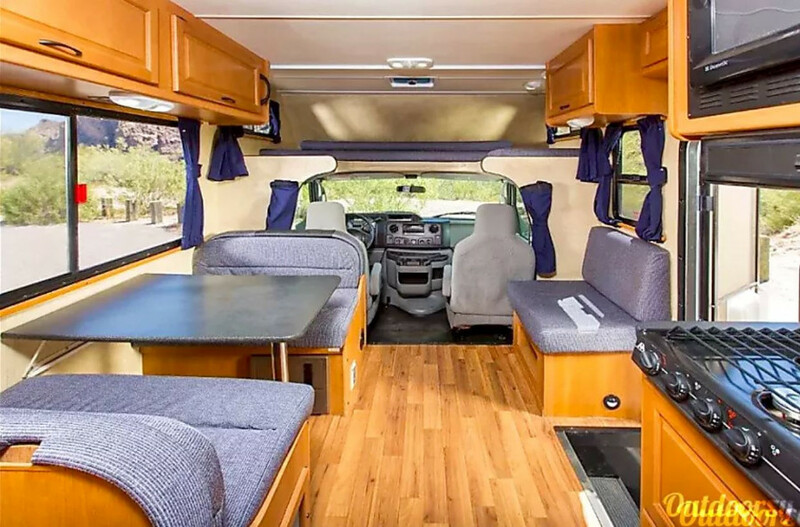 With plenty of places for you and your family (or guests) to sleep, we're sure you'll find this motorhome rental is perfect. On a whim, my husband and I decided to rent an RV for our family vacation. We have been camping in this past, but neither one of us had ever camped in an RV before. Wayne made it very easy for us to use and enjoy. It was a beautiful and luxurious vehicle with plenty of room for us and our two boys plus my father-in-law. 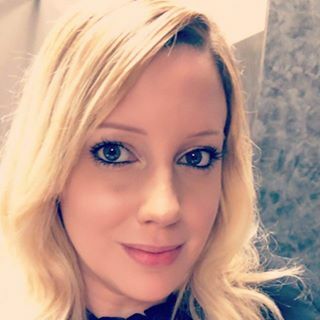 Easy to drive and my husband made no complaints about the instructions provided to properly connect/disconnect the electric, water, and septic systems. Overall I give Wayne and Serenity a solid two thumbs up and will definitely be renting from him in the near future. 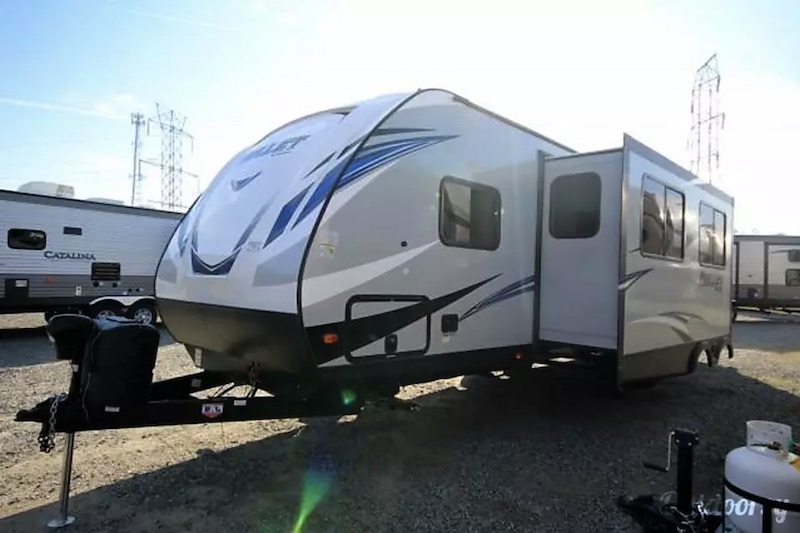 This 2018 Keystone Summerland is a cozy travel trailer with just a touch of home. 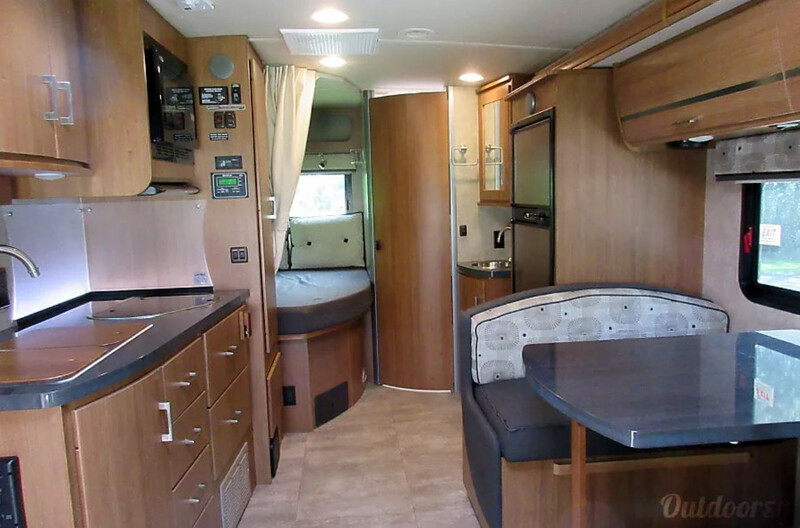 With a large main bed, bunks, and a converting dinette, what more could you ask for? 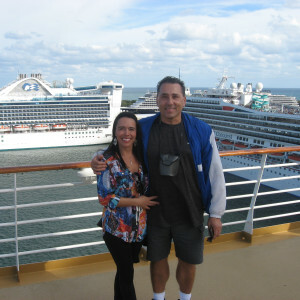 The RV owners, Miguel and Jorge, provide everything you could need on the road. From kitchenware to beach chairs. 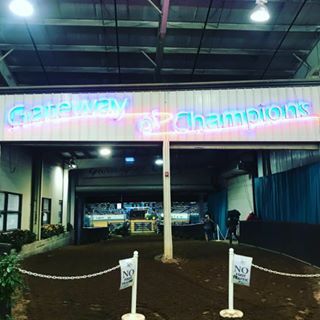 You can even relax under the awning while watching the kids play horse shoes. Miguel was nothing less than a professional with the rental. My family and I will definitely use this camper again. This 2014 Winnebago View may look small, but looks can be deceiving.  The RV renter/owner, Barbra, asks that the RV is returned with the diesel tank full, the black and grey water tank emptied, and the RV itself cleaned. I loved driving this RV. Comfortable! Easy to back up. Easy to get into campsites. One of the most comfortable vehicles I have ever driven. The Mercedes windshield is enormous and the RV lives up to it's name VIEW. We averaged 14.85 mpg on highways. 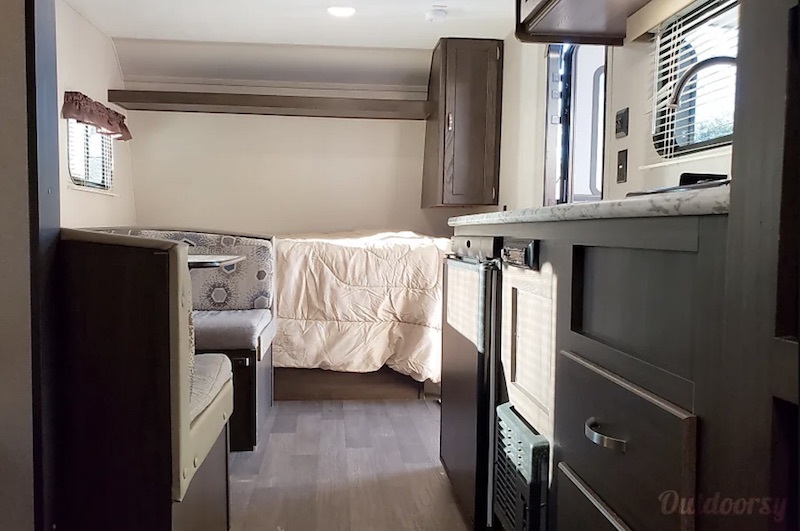 This RV has everything you need to make a perfect RV trip experience. This 2018 Keystone Bullet is a sweet travel trailer that you shouldn't pass up. 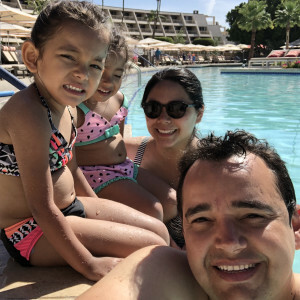 Grab all of your friends for a weekend trip or load up the kids to tour around Florida. There is plenty of room for everyone! This travel trailer has everything you need for an amazing adventure. From a bunk house to a private queen bed, this travel trailer is perfect for a family getaway. The towable camper was perfect for our Thanksgiving camping trip. Had to use the heat one night due to the 35* temperature and the heater worked great and kept the family warm. 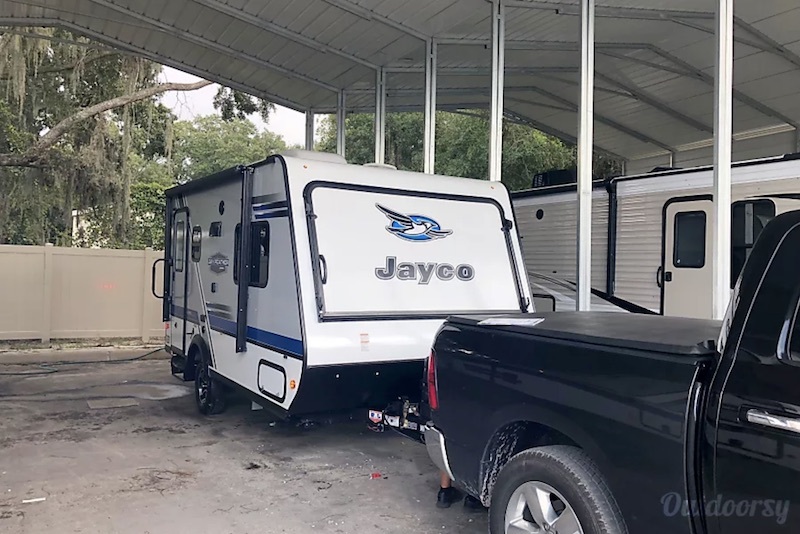 This 2019 Jayco Jay Feather is different from your normal RV. This puppy is a pop-up/teardrop hybrid that is perfect for making memories. Perfect for a modern glamping experience, this travel trailer has everything you need from two large beds to a full bathroom. The camper is brand new, perfect condition and the owner was very friendly and accommodating. 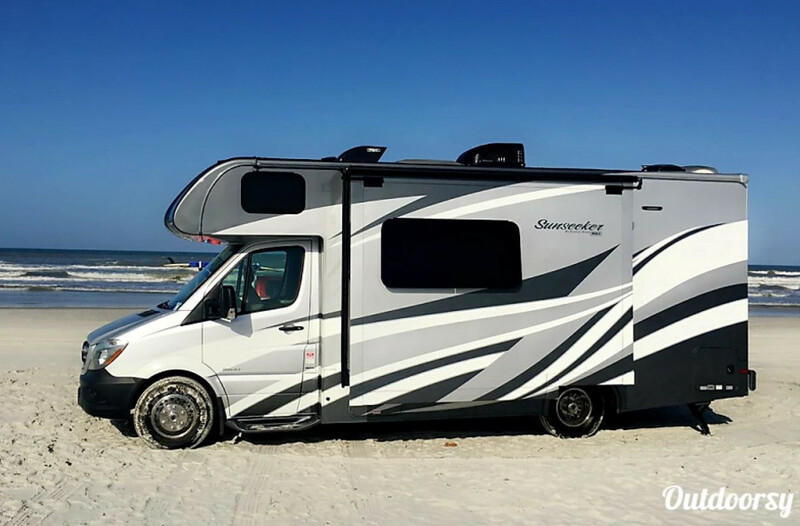 This 2017 Mercedes Forest River Sunseeker is an awesome Florida RV that's perfect for friends and family while making memories and hanging out in the middle of the beach for a few days (how perfect does the image above look?). ... and more! It even comes with a free beach driving pass in new Smyrna Beach and free surf lessons in cocoa beach!! 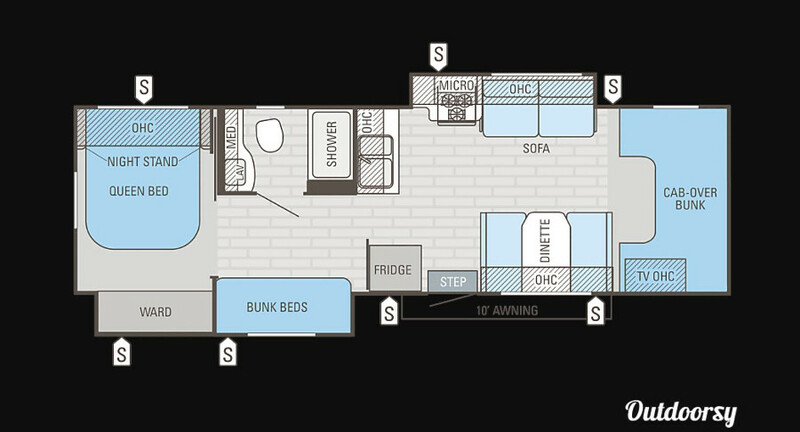 If you are looking for an RV that has it all, check out the Sunseeker! Great experience renting from Jeremy. He provides everything you need to have a great trip. 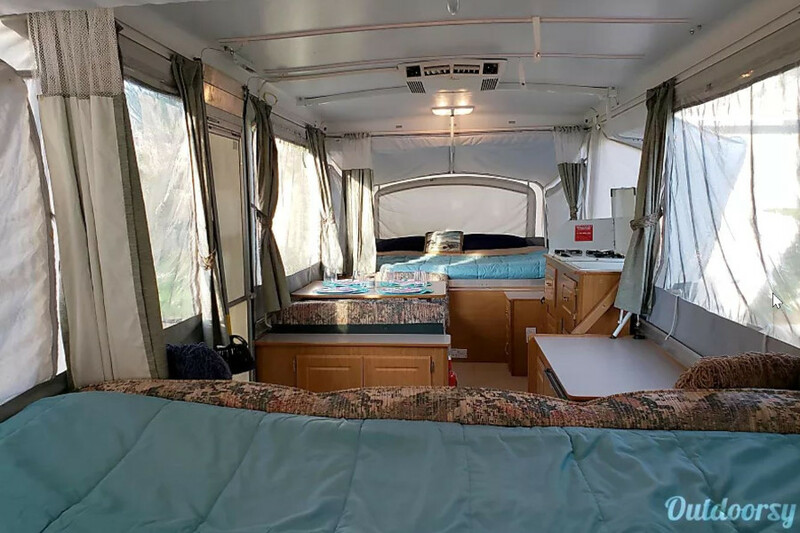 This 2018 Forest River Cruise Lite proves that there can still be plenty of space without slide outs. The beds have been all upgraded with memory foam mattress toppers to assure you and your family (or guests) a great night of sleep and there are plenty of amenities that come along with this pull behind. Excellent service, Jerry made our first experience camping one to remember for ever!! 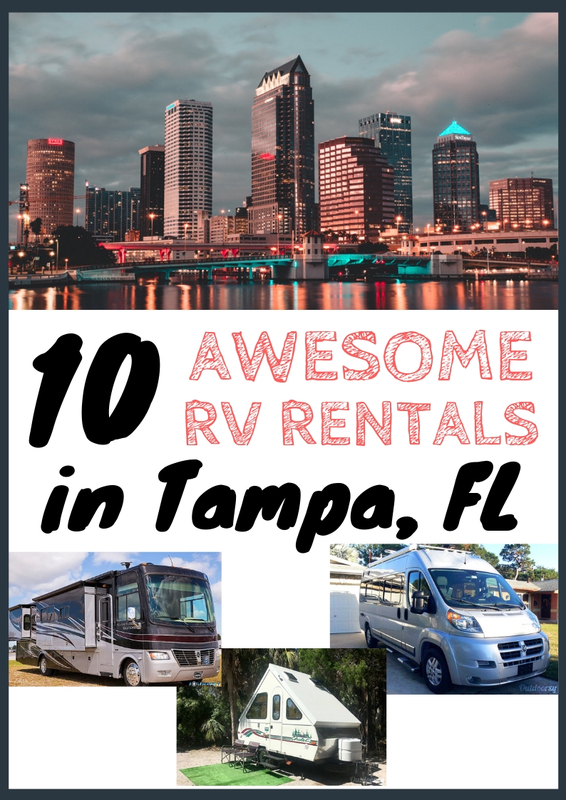 That brings us to the end of our list of the best RV rentals in Tampa! 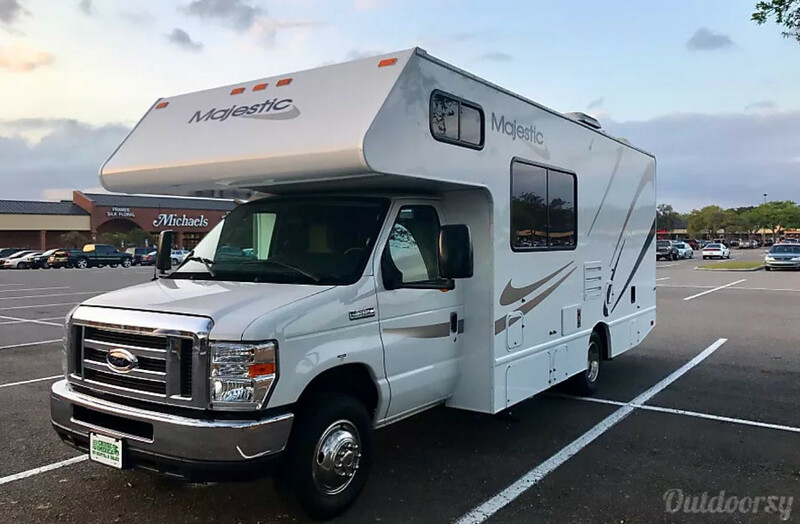 Remember, if you didn't like any of these we listed (or they weren't available for you), you can always check out all the Tampa, Florida RV rentals available on Outdoorsy. Looking for more? Check out the top things to do in Tampa on Trip Advisor. 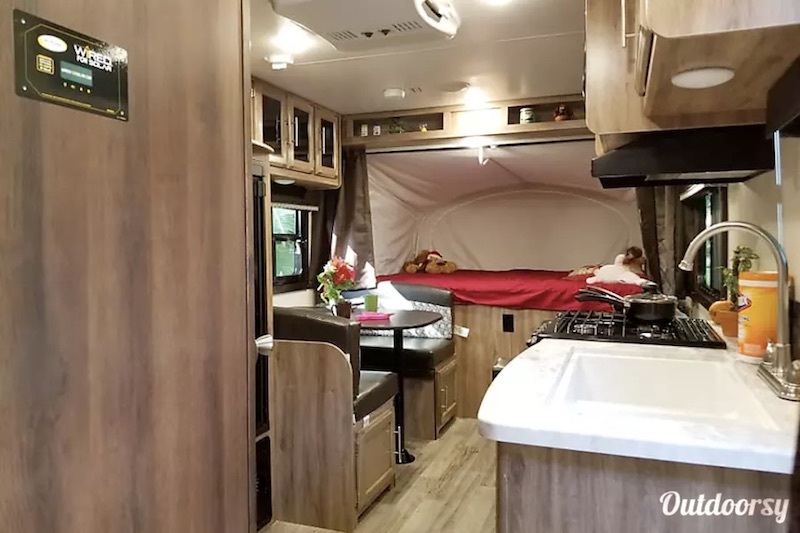 Plan to rent an RV? Check out the top RV resorts in Tampa, Florida. And that's all we have for you! 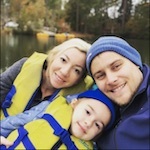 Want to share your Tampa RV rental or some cool things to do in Florida? Or have questions? Leave a comment below!